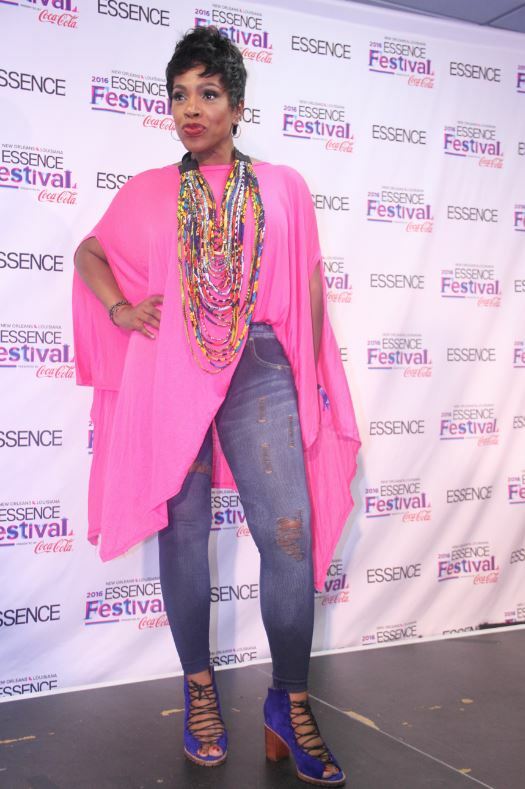 We knew that we were in for a treat, over the next three days, while at Essence Fest, when Kelly Price (who we just love running into) – yes, the seven-time Grammy Nominated singer and songwriter – closed out a musical tribute to the amazingly talented Toni Braxton. 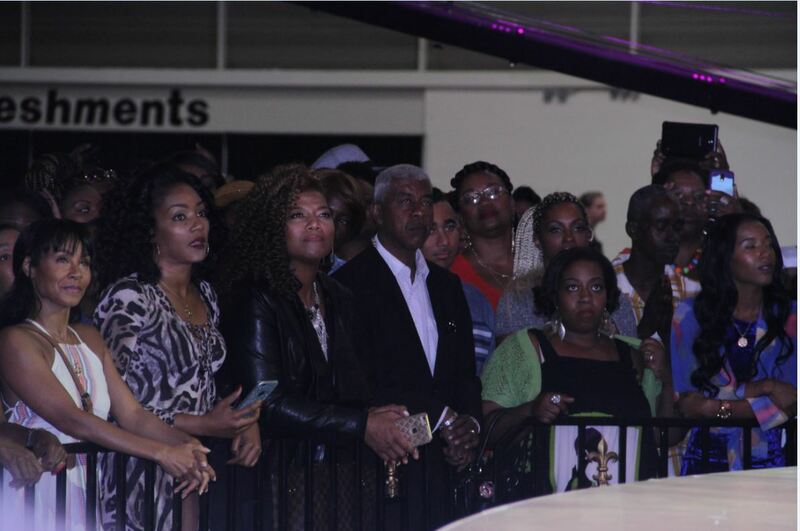 Her sisters Traci, Towanda, Trina, and Tamar opened up the musical tribute with the superstar’s hit single, “Breathe Again” from her debut album with Eric Benet, V. Bozeman (Empire), and Kenny Lattimore adding their signature sounds to the musical tribute. 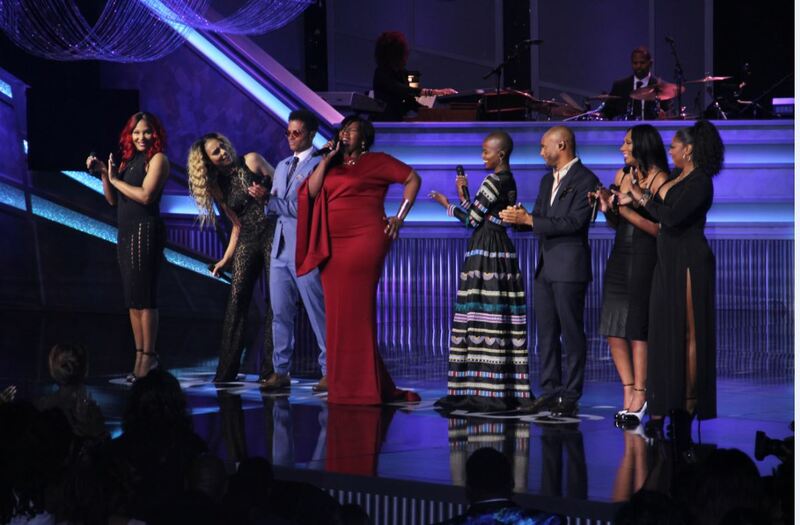 The Grammy Award-winning singer, author, philanthropist, and actress (Braxton Family Values) received the Lifetime Achievement honor at this year’s McDonald’s 365Black Awards which was hosted by actor Lance Gross and actress/singer Amber Riley. 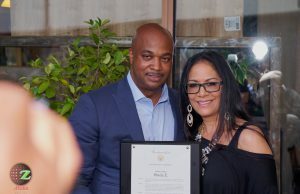 The 13th annual awards show brought every day heroes and celebrities from across the country to the New Orleans Theater to recognize exceptional leaders who make positive contributions to the African-American community. Although we got to see the happenings during the taping, at the fest, everyone else will have to tune in to BET on September 1st at 8pm CST/9pm EST to watch the spectacular awards show. 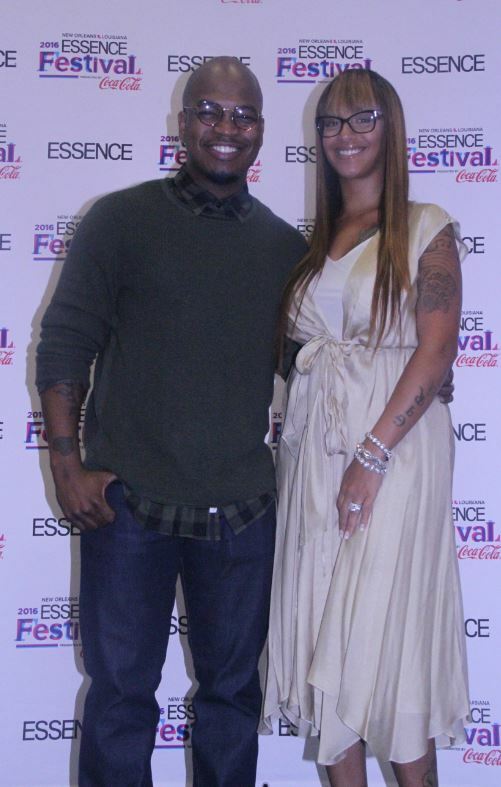 To find out more about the awards show and the honorees, click here. Narrowing down a weekend of memorable highlights was a bit challenging but…. we tried – for you! 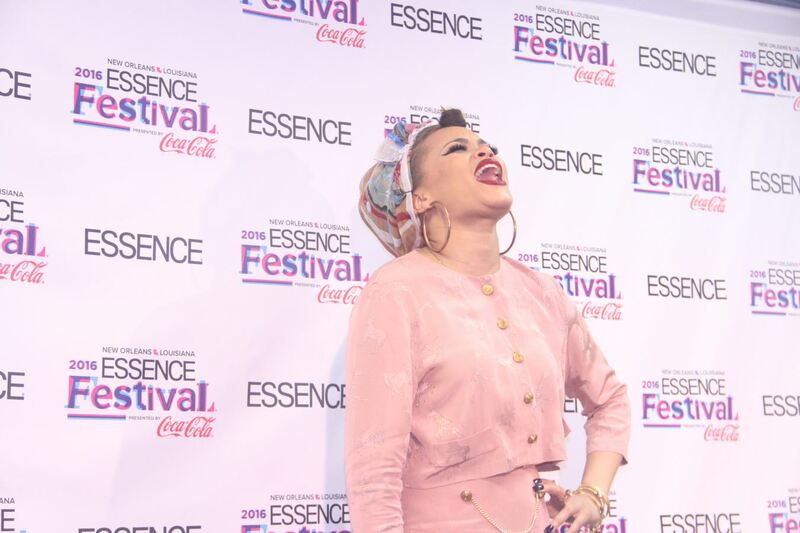 So here goes – 21 days after we left the annual festival – in no particular order, here are the entertainment team’s 21 favorite Essence Fest Moments. One of them was listed above. 🙂 One more thing before our listing – thanks to the almost half a million of you who watched our live video highlights from the festival. 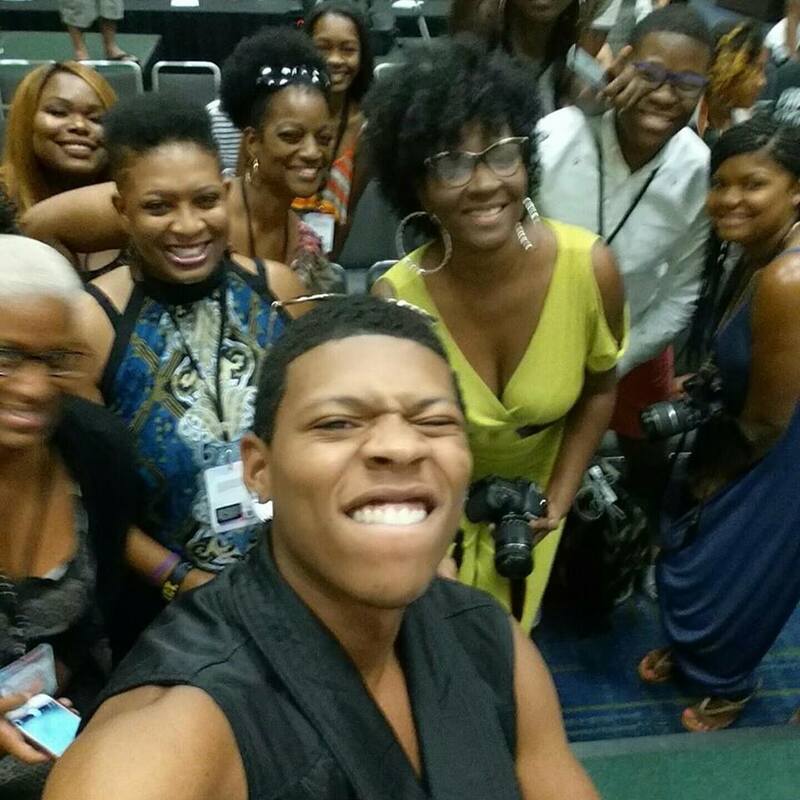 2) Laughs, convos, and an ussie with Yazz the Greatest aka Bryshere Y. Gray. 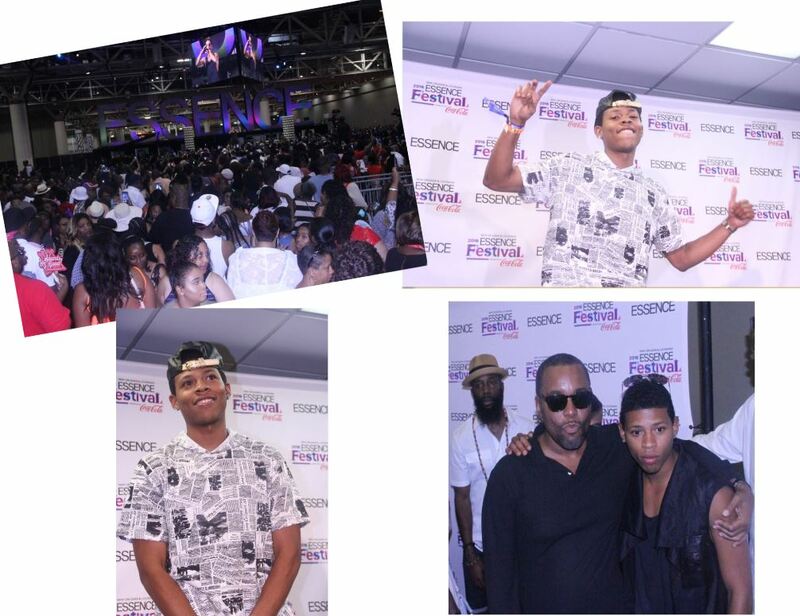 Best known for his role as Hakeem Lyon in Fox TV series Empire, this actor and rapper was always smiling and joking around with those around him. He was definitely a delight to be around. 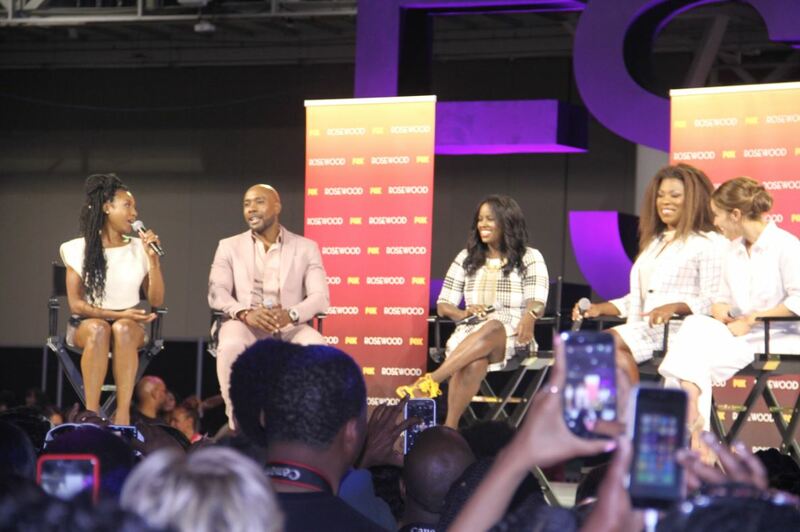 3) Spotting Queen Latifah, Jada Pinkett–Smith, and Tiffany Haddish as they joined other fans to hear from the cast of Rosewood. As if the crowd wasn’t excited enough, the murmurs grew louder as attendees realized who was among them which, of course, made the crowd thicken more. LOL The three ladies will join Regina Hall and Larenz Tate in Girl Trip, a comedy which will be directed by Malcolm D. Lee and produced by Will Packer. 5) This lovely mother-daughter duo kept us entertained, in the media room, as they talked about their current projects. 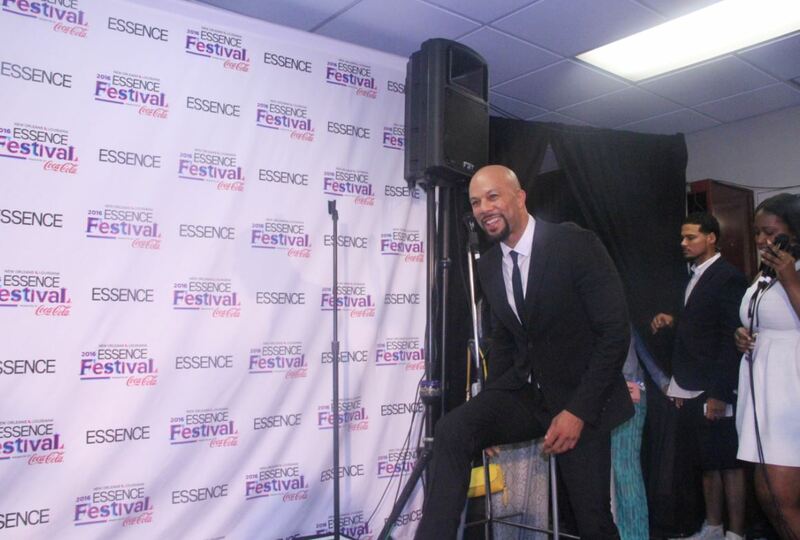 Whitfield talked about her role as Lady Mae in OWN’s Greenleaf which has been picked up for a second season, why she loves the Empowerment stages of Essence Fest, and her longevity in the industry. 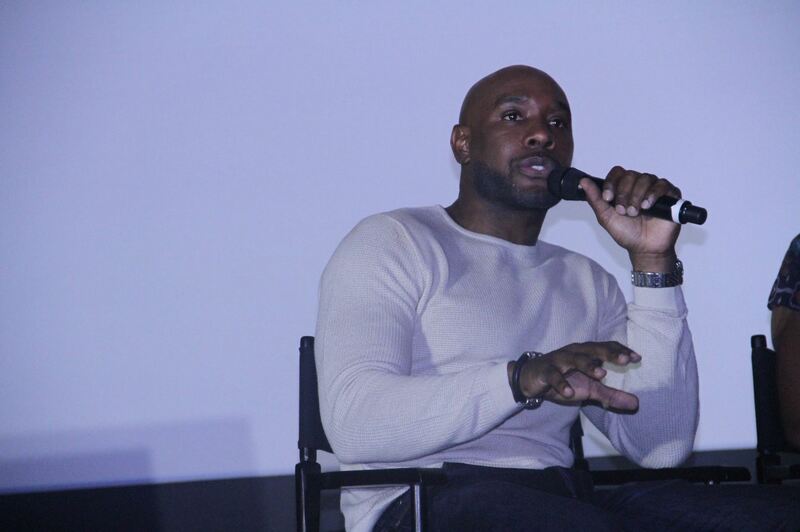 Gibson talked about being cast as Faith Evans in Morgan Creek’s Tupac Shakur biopic, All Eyez on Me, before covering one of the legendary singer, Nina Simone’s songs. 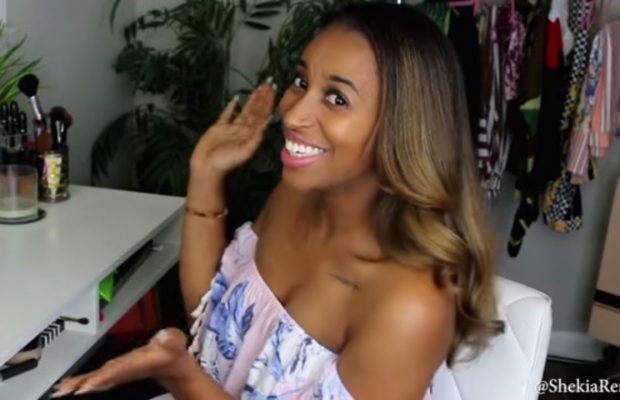 The almost 25-year old has a powerful voice! 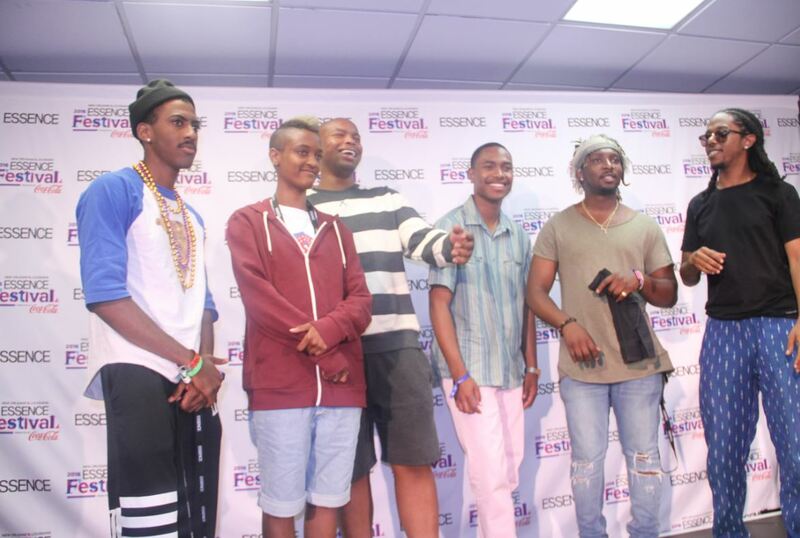 6) Meeting some of the artists who paid tribute to Prince at the fest. 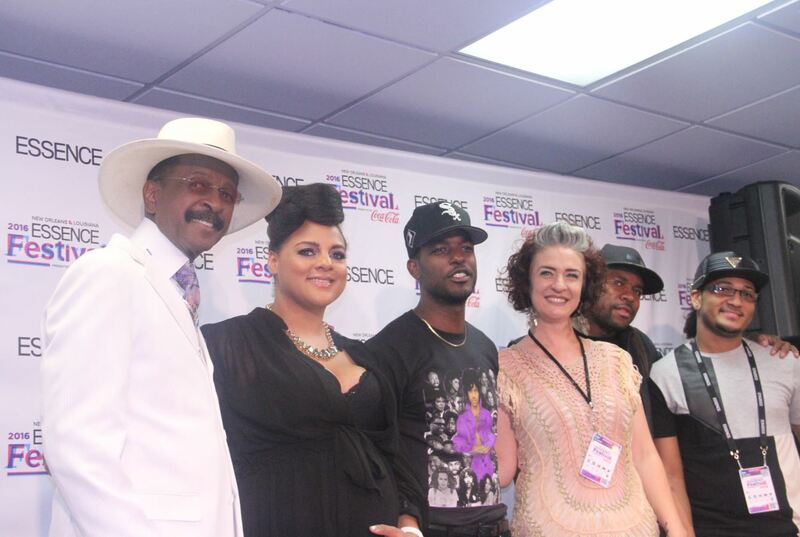 ‪‎The legendary Larry Graham, ‎Marsha Ambrosius‬, ‎Luke James‬, Ashling Cole (aka Biscuit), ‎DNice‬, and Adrian Crutchfield stopped by the media room after their performance to talk about their tribute. 8) Take a look at Mario captured in all those cell phones. Clearly his fans haven’t stopped loving him and are eagerly awaiting his next album which is set to be released soon. 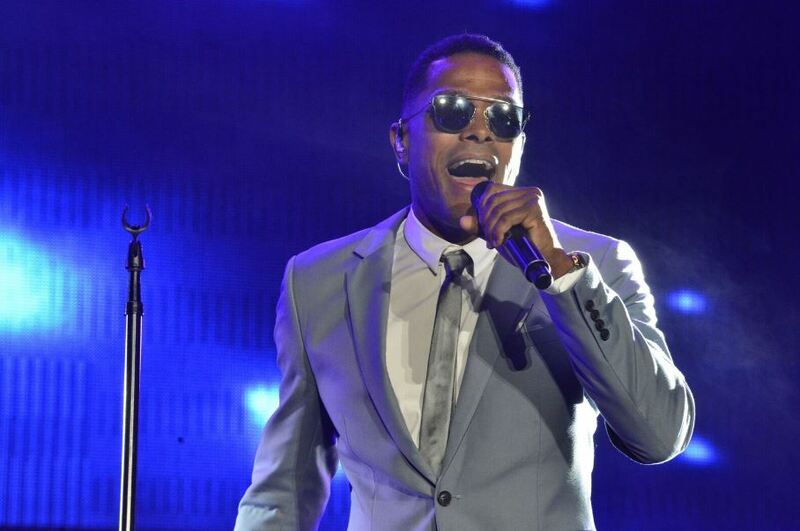 He sang a few fan-faves and a new song from his next project. 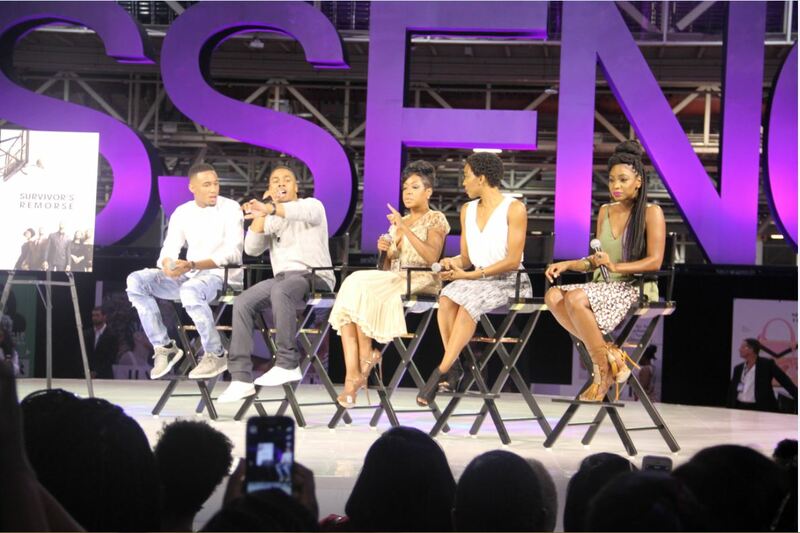 11) To the delight of the packed crowd, several of the show’s cast – Jessie T. Usher, RonReaco Lee, Tichina Arnold, Erica Ash, and Teyonah Parris – took to the stage to talk about their roles and the highly anticipated season 3 which premiered yesterday, July 24th. 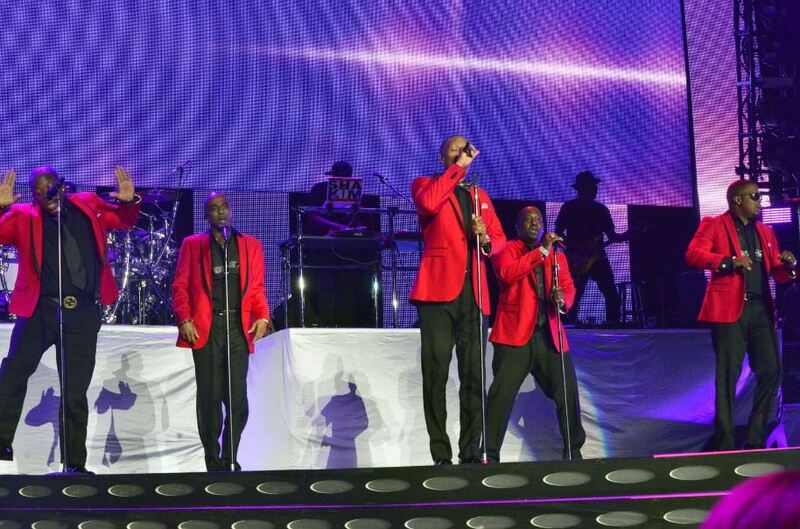 Click here to find out more about the show. 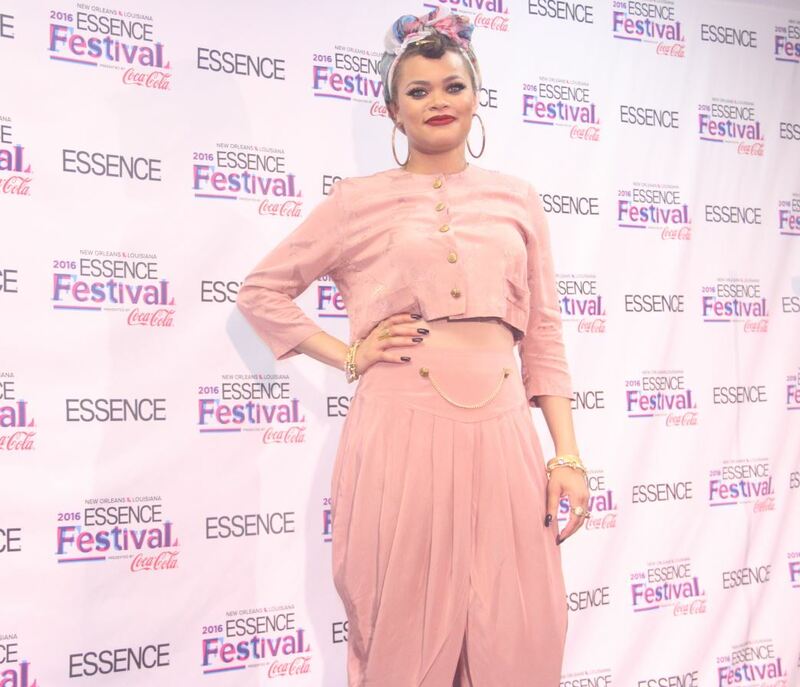 13) This 23 year-old rapper, singer and producer from Birmingham, England talked about how simply doing what one loves and being true to oneself can lead to fulfillment and success. Rolling Out magazine listed her as one of “10 New Artists You Need to Know”. 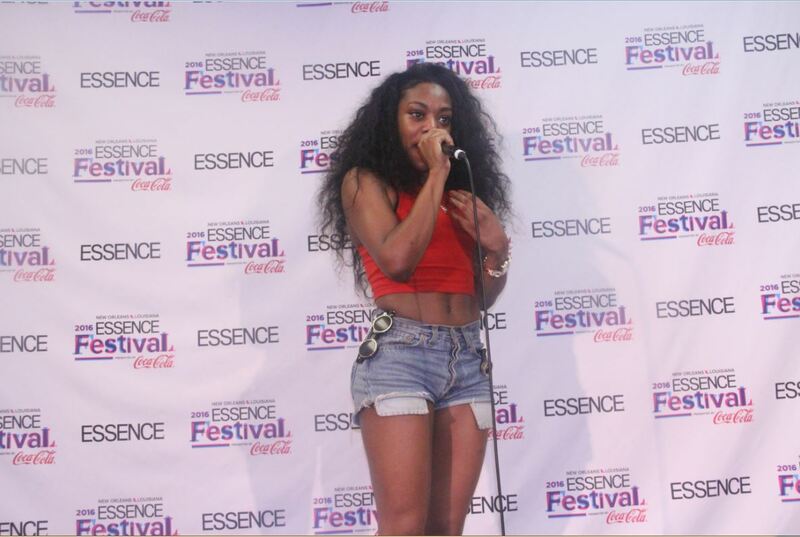 She also gave us a sample of why we needed to know her and yup, we’re fans! 14) Their twin smiles had us all smiling as well. Congratulations to them on their February nuptials and the birth of their, now four-month old, son Shaffer Chimere Smith, Jr.
15) Of course, this moment made it onto our list of favorite moments. J. 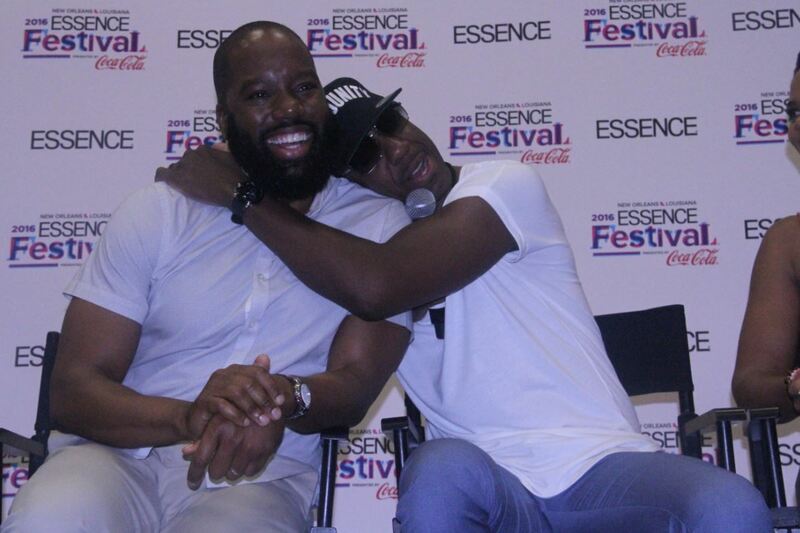 B. Smoove (Real Husbands of Hollywood, Barbershop: The Next Cut, Almost Christmas) hugs playwright and filmmaker, David E. Talbert (First Sunday, Baggage Claim, Almost Christmas) as he, playfully, encourages him to continue making movies. 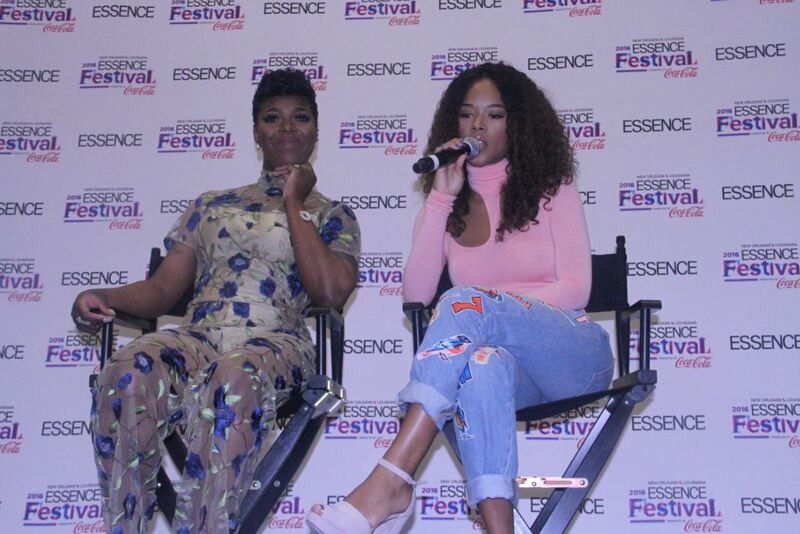 The two were joined by Kimberly Elise and Keri Hilson to discuss Almost Christmas which tells the festive story of a beloved patriarch who asks his family for one gift this holiday season: to get along. If they can honor that wish and spend five days under the same roof without killing one another, it will be a Christmas miracle. 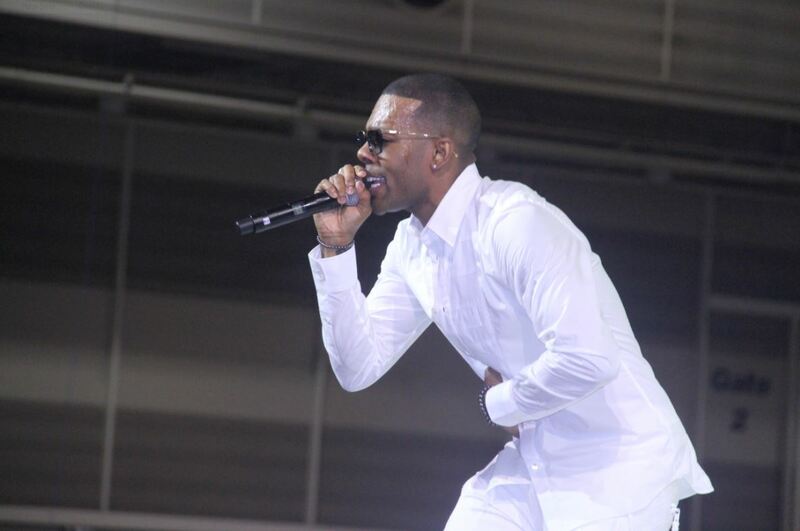 The all-star cast also includes Danny Glover, John Michael Higgins, Romany Malco, Mo’Nique, Gabrielle Union, Omar Epps, Nicole Ari Parker, Jessie T. Usher and DC Young Fly. It’ll be in theaters on November 11th. 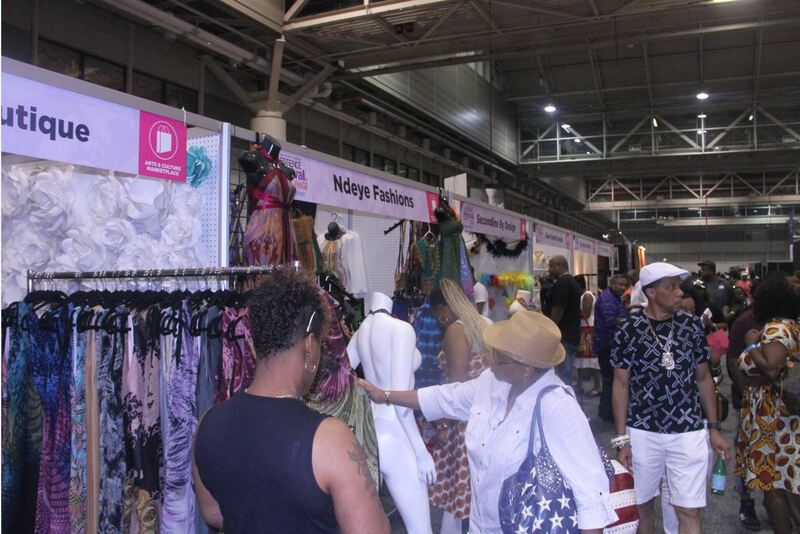 17) The vendors who sold everything from artwork, music, clothing, footwear, jewelry and every souvenir imaginable. 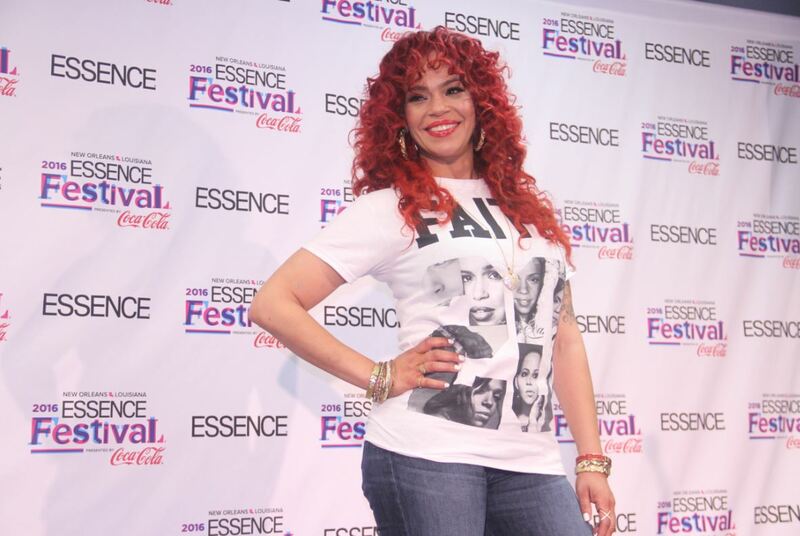 18) Still going strong, Faith Evans will soon (we hope) release The King & I, a posthumous Notorious B.I.G. album which will feature duets with the two. 19) The Internet. We honestly wish we could describe the comedy – pure comedy – that ensued when they entered the room. 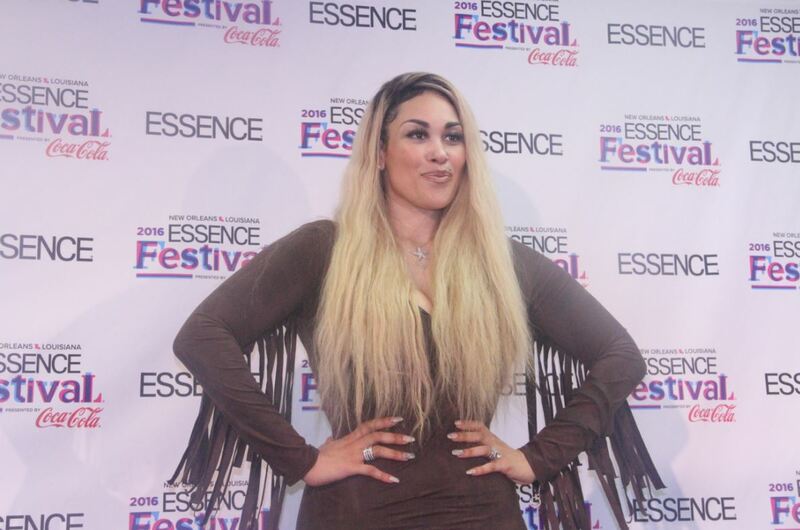 Despite all the smiles seen all over the internet, the days were long during Essence Fest which is why we noted (even then) and commended each celebrity for their sustained upbeat, friendly, and professional-ness regardless of when we saw them. And, it was not different with The Internet. 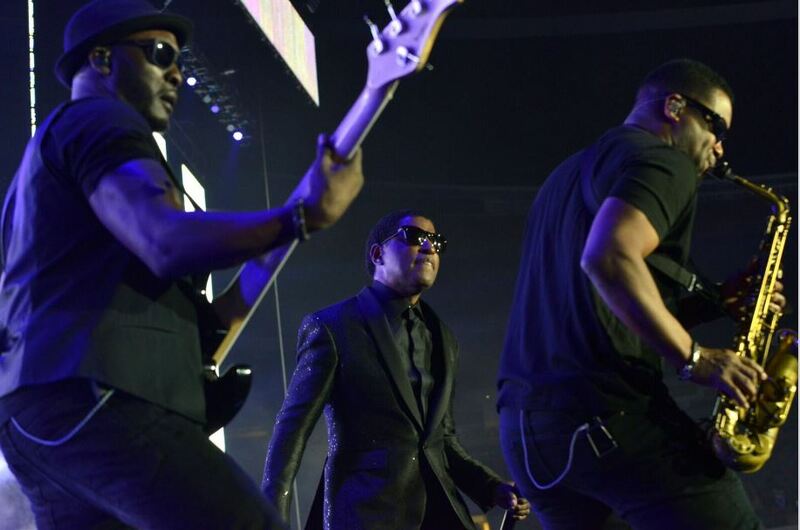 This band is busy touring the world and making statements through their music. Find out more. 20) Meeting the cast of STARZ’ Power. We don’t know what was more exciting. That or watching the crowd’s reaction from the moment each cast member walked on stage until they walked off. Season 3 premiered on July 17, 2016. Catch up on previous seasons here. 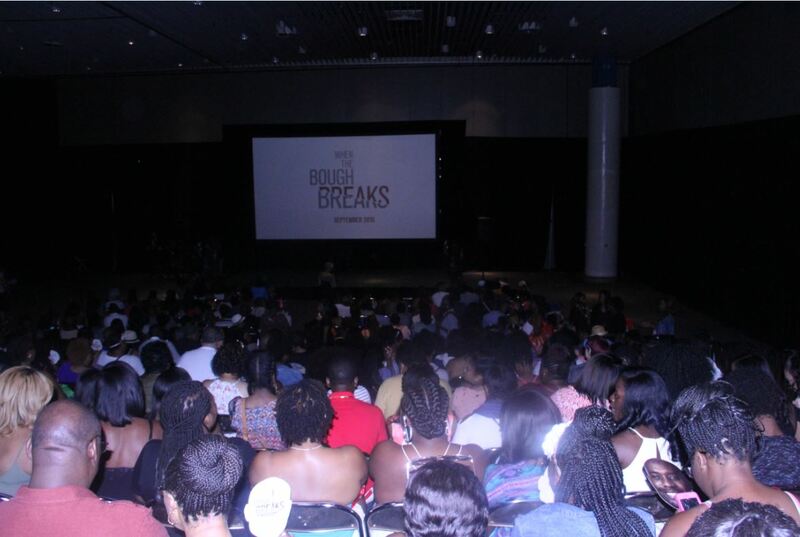 21) Last but not least, and definitely not in any particular order, talking to fans awaiting the screening of When the Bough Breaks. 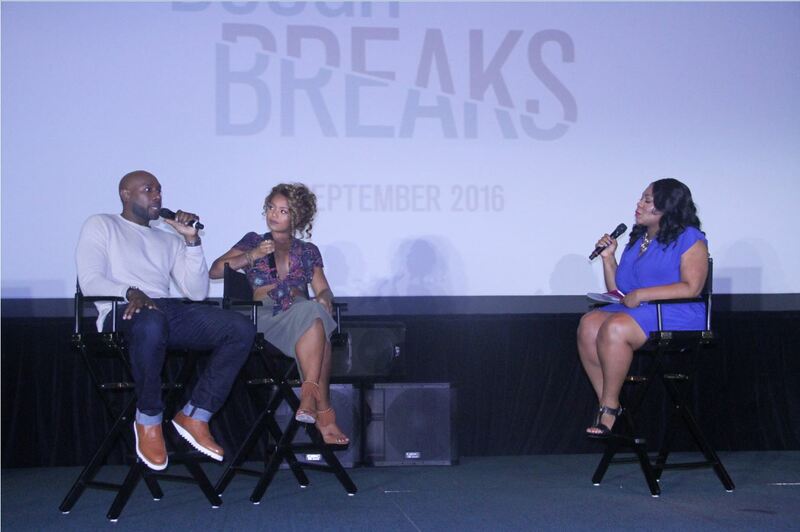 And, of course listening to cast mates, Morris Chestnut (John Taylor) and Jaz Sinclair (Anna) talk about the making of the movie and what fans can expect. Directed by Jon Cassar and also starring Regina Hall (Chestnut’s movie wife), the movie is about a surrogate mom for a couple who becomes dangerously obsessed with the soon-to-be father. The movie hits the theaters on September 16, 2016. 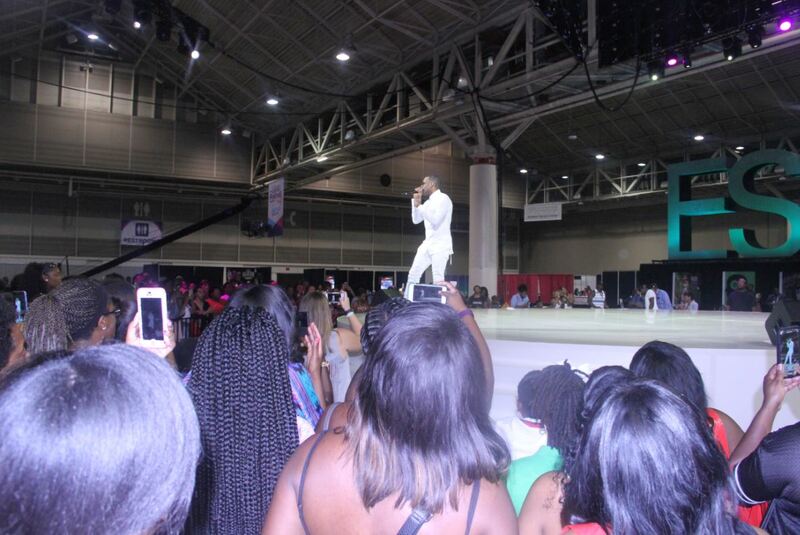 According to event organizers, “Time Inc.’s (NYSE:TIME) 2016 ESSENCE Festival presented by Coca-Cola attracted more than 450,000 attendees to New Orleans this Fourth of July weekend for its annual cultural celebration featuring more than 100 performing artists and over 100 speakers—which included first-time appearances by Oprah Winfrey, Mariah Carey, Tyra Banks, Misty Copeland and many more. 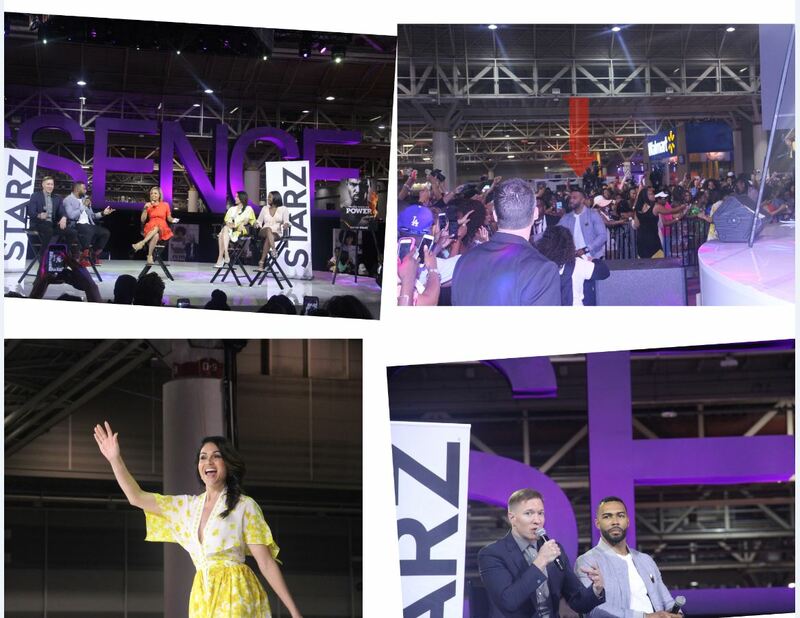 Recognized as one of the country’s largest live events, the 2016 ESSENCE Festival hosted more celebrities and performing talent than ever before, extended its reach worldwide by capturing a record-breaking 3.5 billion social media impressions and delivered over 100 hours of curated video and live-stream content. 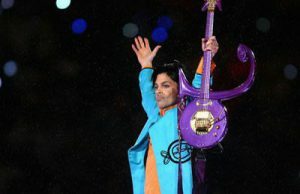 The annual 4-day Festival, which took place June 30-July 3, featured entertainment, empowerment, and cultural experiences during the day and the world’s best performers each night.